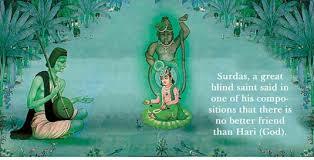 Saint Surdas Jayanti is Coming on 8 May every Year. 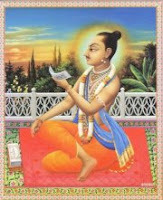 Saint Surdas portrayed in exquisite poetry the life of Krishna, especially child Krishna, in such vivid detail that he has not been equalled by any saint or poet, not even Kalidasa, in describing childhood. 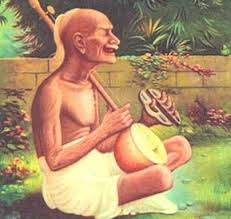 his uttering of the first word, his taking the first step unaided, are all occasions for Surdas to compose inspired songs which are sung even to this day, in hundreds of homes, by mothers who see child Krishna in their own children. 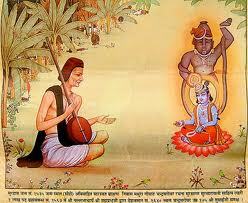 Surdas, the blind saint and poet, sang about the childhood adventures of Lord Krishna. 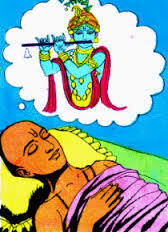 In 2011, the date of Surdas Jayanthi is May 8. 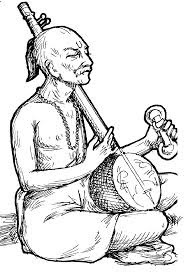 The bhajans that Surdas sang were simple, easy to sing and contained short incidents from the life of Krishna peppered with philosophical teachings and moral lessons. Sursagar is his collection of poetry and is an important literary work that helped in spreading the Bhakti movement in North India. 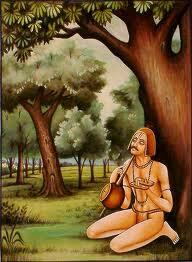 Mughal courts and Mughal emperor Akbar became his patron.